Introducing Hatchimals CollEGGtibles - adorable collectible Hatchimals that come inside small, speckled eggs. Each Hatchimals CollEGGtible needs your help to hatch! Hatch an EGGciting mystery with this Hatchimals puzzle. Crack into an EGGventure with the Hatchimals CollEGGtible game! 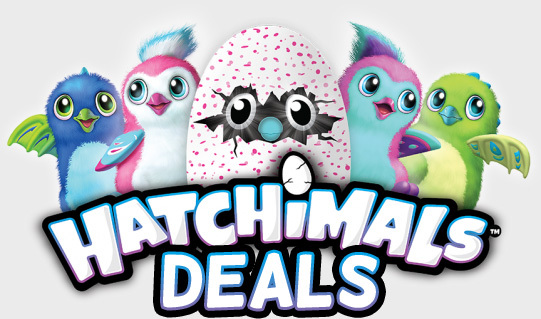 Hatchimals Surprise are finally here and they have an unEGG-spected treat in store for you! For the first time ever, you can hatch TWO adorable Hatchimals! There's a magical creature just looking to find its way in our world. Who's inside the egg? Well, you'll just have to wait and find out! 2.5 INCH MYSTERY HATCHIMALCollect them all! Each sealed in an egg! Plush clip on Hatchimal in a molded shell.